The judge of First Instance Court in San Francisco Gotera, Jorge Alberto Guzmán Urquilla, has made two requests for information to the Armed Forces since this historic case was reopened two years ago. Only superficial results have been obtained. The first request for information was in 2016, when Guzmán Urquilla asked for payroll details on members of the Military High Command, the Atlacatl Battalion, and units that participated in the 1981 military operations in Morazán. This information is crucial to determining the responsibility of the 18 soldiers accused of nine crimes related to this massacre. The second request, in 2017, was more broad. It included inquiries about the soldiers who were part of the special regime during military operations in that area, the positions of the 18 accused former officers between 1980 and 1992, the list of troops who participated in the operation, documents related to the organization of equipment, and the directors of the defense schools, among others. Neither of the judge's requests were fully satisfied. According to the Armed Forces, no information related to Operation Rescue, which included the El Mozote massacre, exists in its official archives. No other documents, such as the laws and institutional regulations which specifically stipulate that the High Command document wartime military operations, were offered. 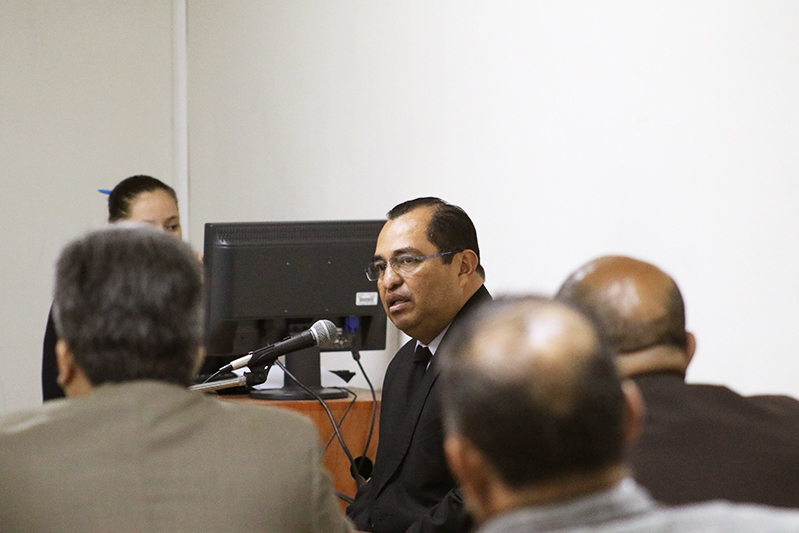 Faced with this lack of information, the judge called two new witnesses to describe how the search for information was executed: Noé Antonio Pineda, head of the General Archive Department, and Colonel José Rolando Morales Belloso, Chief of Archive Personnel. According to both witnesses, who testified separately, information on units demobilized after the Peace Accords—such as the National Police, the Treasury Police, and the six Immediate Reaction Infantry Battalions, including the Atlacatl Battalion (the main unit that executed the El Mozote massacre)—is kept in the General Archive. Morales Belloso has worked in the Archive since August 2016. He does not have specialized archive management training. His position is chosen by the High Command of the Armed Forces, which is in charge of archiving. At the beginning of the first witness testimony, Judge Guzmán provided context about the lack of specific information: "There are some aspects of the personnel files [from the Atlacatl Battalion] which may not be credible—for example, operations they executed. There are some files that have absolutely no information about the operations, or about people who have been in the institution for decades. It seems that there has been some omission." Morales Belloso replied that the General Archive does not produce or update information, it only manages and conserves information sent from different military units. Each unit has its own central file. When elements are written off, documentation must be sent to the General Archive. The General Archive of the Armed Forces is located in the Ministry of National Defense facilities. It safeguards confidential and historical information that cannot be destroyed. The information in a file to be destroyed must undergo a verification process by the General Archive, overseen by the Ministry of Culture, to ensure that the document has no historical value. The problem of accessing information about wartime massacres has an important precedent. In 2013, the Armed Forces declared that information requested by the Madeleine Lagadec Association in relation to several wartime massacres attributed to the Army was nonexistent. According to the Institute of Access to Public Information (IAIP), an agency familiar with the process, some documents that made reference to that information were destroyed between 2013 and 2015. The IAIP therefore ordered the Defense Department to reconstruct the information. 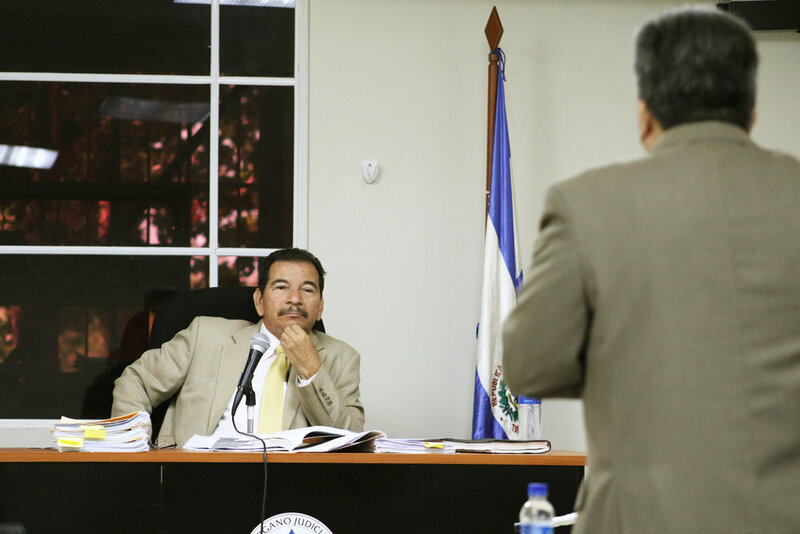 However, Defense Minister David Munguía Payés denied the destruction of historical documents and did not allow IAIP personnel to access the Archive to verify what happened. In March of last year, the Chamber of the Supreme Court for Administrative Disputes sided with the IAIP and ordered the Armed Forces to reconstruct the information. The minister and officers of the General Staff gave a press conference to deny the destruction of historical information. They offered access to the culled documents for verification. However, similar document destruction has been repeated recently. In Friday’s hearing, Morales Belloso said more documents were destroyed in 2017, in military units outside of his jurisdiction. He did not remember which units had carried out this procedure, or what kind of information was destroyed. In response to questions from the Attorney General’s representative, he said details could be obtained from the military units who destroyed the documents. This hearing with the military witnesses allowed the judge, private prosecutors, and Attorney General’s Office to ask questions about military terminology and file management in each military unit. Along with the judge and the private prosecutors, the Attorney General’s Office must investigate what happened in the General Archive of the Armed Forces, and evaluate if it may have committed some crime, such as concealment. The President of the Republic and General Commander of the Armed Forces, Salvador Sánchez Cerén, participated in a commemorative event in El Mozote on December 9. At no time did he speak of justice for the massacre. His spokesman, Eugenio Chicas, was consulted by Revista Factum about the lack of military information from Defense Minister Munguía Payés. "We respect the judicial system, and it is the judicial system that has the initiative in this type of case, as in all judicial cases," said Chicas. “And in all cases, President Salvador Sánchez Cerén’s government has given express orders [to the Defense Minister] to cooperate and collaborate." Never miss an article. Sign up for Cristosal news updates.